Dr. Dara Lowe with DaVita Medial talks about how important a primary care physician is to you and your families medical care, important annual exams, managing weight, and a lot more. Kris Medina and Maggie Williams from Pikes Peak Habitat for Humanity talks about the need for affordable housing across the country and the state. HB 1245 and what it does to support affordable housing. And their 3-year strategic plan. El Paso County Sheriff Bill Elder talks about his concern over HB 1263, and the impact it would have on El Paso County and the state. Illegal and black-market marijuana enforcement, BHCON, and more. Dr. Dara Lowe from DaVita medical talks about cold and flu season coming to an end. Bryan Welding, Kristy Milligan and Jerry Cordova talk about the Great American Cleanup happening this Saturday, April 27th. Want to volunteer? Go to GACPPP.com to get signed up. Sarah Watson from Colorado Parks & Wildlife talks about the animals we need to be aware of this Spring, what to do to bear aware and protect ourselves if we’re out hiking or camping, the deer overpopulation problem in our area, and more. Sunny Smaldino from the Colorado Springs Fire Department talks about National Prescription Drug Take-Back Day coming up Saturday, April 27th. Paul Sutton, owner of Peak Structural, Dave Ramsey trusted and endorsed, joins Ted Robertson for a visit on Spring, moisture, mold and keeping your basement dry, your sump pump working and your foundation leak-proof. 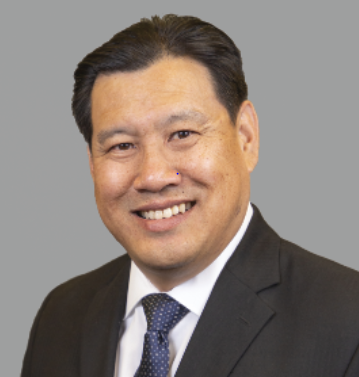 Ted Robertson talks with Kevin Tebedo, owner of Western Roofing Specialists, who will tell you that the measure of a roofing company really is in the staying power of the roofing systems they install. Bell & Pollock talk about your medical diagnosis and injury claim. Greg Coopman talks with Robin Patterson and Jackie Ruettinger from Encompass Health Rehabilitation Hospital. Justin puts the focus on cost of living in the Pikes Peak region. Joining him this week is Noah with Pioneer Construction. Austin Darby of Main Street Insurance Company stops by as well. If you have questions about the Pikes Peak region, Justin, Noah and Austin have the answers! Julianne continues her lessons on "The Road To Righteousness" with Mary and the statement she made that her soul magnifies the Lord! What does that mean, and what does that mean for you? On the latest Veterans Voice: USAA’s Dana Hagood with two exciting announcements: Veterans Voice Podcast earns first place win at Colorado Broadcasters Association Awards & USAA’s Colorado Springs Campus is hosting an On-Site Career Open House, April 27, 9 am-1 pm 1855 Telstar Drive; Hear how Colorado Springs Utilities, Jonathan Liepe, and Peak Workforce Center’s Jennifer Pierceall Herman, both Mt. Carmel community partners, are preparing the community for the largest annual Military/Veteran/MilSpouse-focused job fair May 29. The Mt. Carmel Veterans Voice podcast presented by USAA in partnership with Star Dental Institute and the Together We Smile Foundation publishes the second and fourth Saturday of each month at 08:00. Veteran's Voice features success stories from Military, Veterans and their families; highlights resources available to all military, veterans and their families and offers military themed news, updates, information and resources. There are four elements central to success in business. Ted Robertson talks with Robin Roberts, owner of Elements Business Coaching. Robin describes those elements and urges taking a proactive approach, knowing your numbers and making well informed decisions. Take the stress out of making your business work. Follow the path to profitability with Robin and Elements Business Coaching. Kent Mathews talks with Scott Bartlett, an Ombudsman with the Pikes Peak Area Council of Governments, about safety verses self determination. Erin Hutchinson and Becca Tonn from Pikes Peak Workforce Center continue our series talking about social media and LinkedIn and how it can affect and benefit your job search. Gov. Jared Polis talks about his first 100 days in office, what he’s hearing from communities as he tours the state, and more. Michelle Peulen and Dave Watt from C-DOT talk about work zone safety, projects you need to know the latest on and getting ready for summer driving. Colorado Springs Mayor John Suthers talks about the swearing in ceremony, city council, and his top priorities for his second term. Jennifer Pierceall Herman with the Pikes Peak Workforce Center highlights some upcoming hiring events. Jan Martin, Jane Gasko and Scott Hente talk about Garden of Gods Foundation, Friends of Garden of the Gods, some changes at the park and upcoming events including the big Earth Day Celebration on April 20th. Dr. Dara Lowe with DaVita Medical talks about diabetes. The different types, how to prevent it, pre-diabetes and a lot more. Dr. Lowe practices Family Medicine for DaVita Medica at CSHP’s Monument location. Colorado Springs Mayor John Suthers talks about the election, his top priorities for his second term, red light cameras and a lot more. Ashley Whitworth from the Colorado Springs Fire Department talk about fire mitigation. Fire season is now year round in Colorado, but there are things you can do to protect your family and home. Allison talks about the top mitigation tips, and how you can schedule a free consultation with the Colorado Springs Fire Department. This week Justin Hermes discusses, The Cost Of Selling and Buying Real Estate. Dan Osisnki from Unified Title joins Justin to to break it down. Julianne continues with her story of Mary the mother of Jesus and Elizabeth the mother of John The Baptist. Why did Mary hurry to Elizabeth? Do you know the relationship between Jesus and John? Listen to today's show and you will know. Praise God! 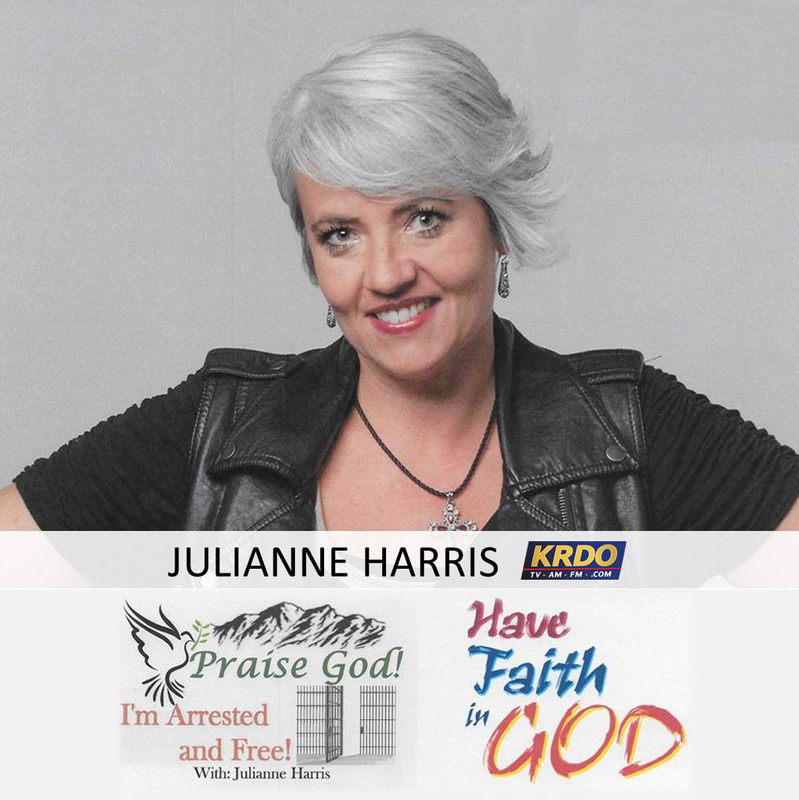 I'm Arrested and Free with Julianne Harris airs Sunday mornings at 6:30 on the KRDO Network at 105.5 FM, 1240 AM and 92.5 FM. 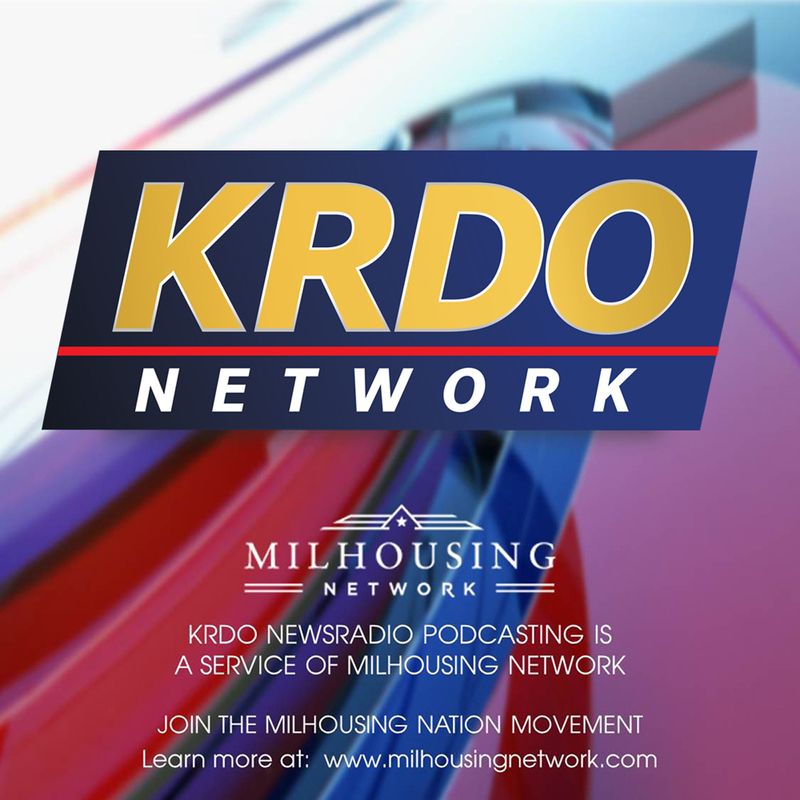 Listen live at KRDO.com and on-demand at KRDO.com, click on the Radio tab and and select Podcasts. Julianne takes you on a compelling journey through the Bible and what it teaches about God's infinite love. 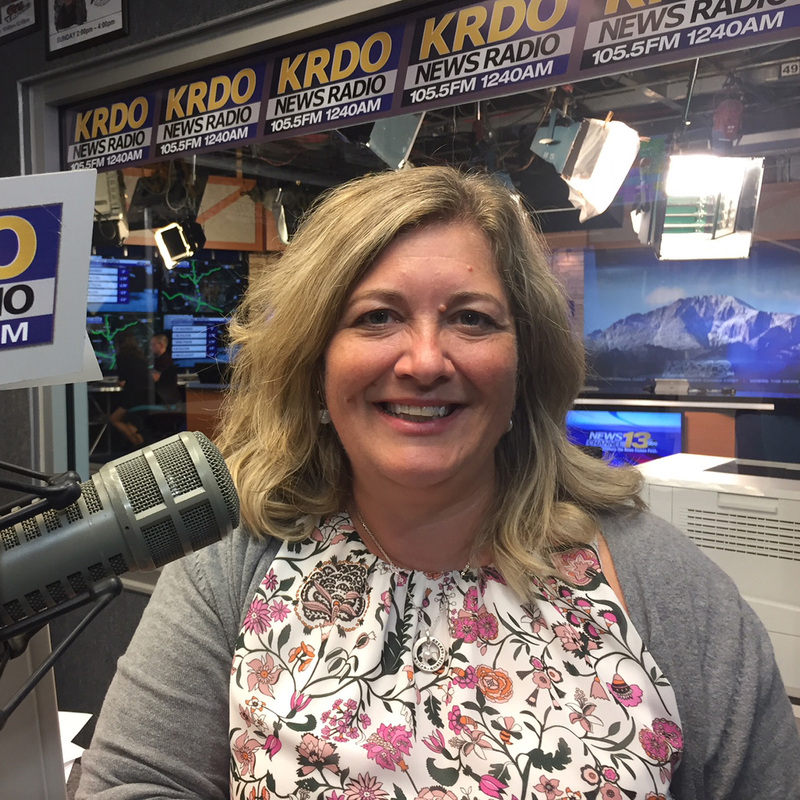 Join her Sunday mornings at 6:30 only on the KRDO Network at 105.5 FM, 1240 AM and 92.5 FM. Listen live at KRDO.com and on-demand at KRDO.com, select the Radio tab and and click on Podcasts. Ted Robertson talks with Gregg Sheldon, founder of Auto Shop Vocational. Gregg's social enterprise offers second chances and job skills to those with a desire to thrive in the automotive world. Ted Robertson talks with Joe Weisenbach, owner of Front Range LED Lighting. Imagine your business or office running all LED lighting. Now imagine a savings of up to 90% off your energy costs over incandescent bulbs. Now imagine getting 50% off materials and installation costs! Bell & Pollock go through the mailbag and answer your questions. Guest host Ben Taylor talks with Greg Coopman about Heartfelt Care at Home. 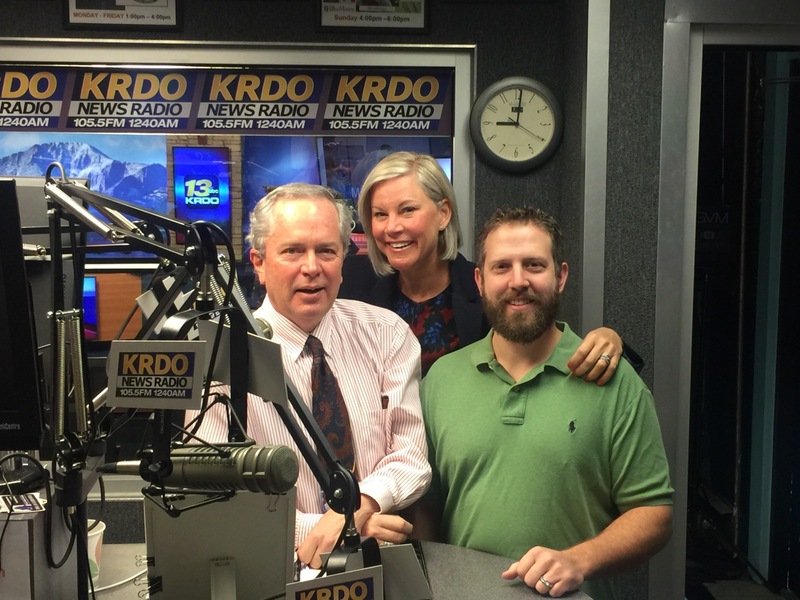 Business Week in Review features airs Friday mornings live at 9:00 on KRDO News Radio. The aim is to speak to the business of cyber, politics and policy, risk management, banking and finance, the economy and more on a higher level, providing solutions to business problems and fuel for business growth and expansion. Colorado College Asst. 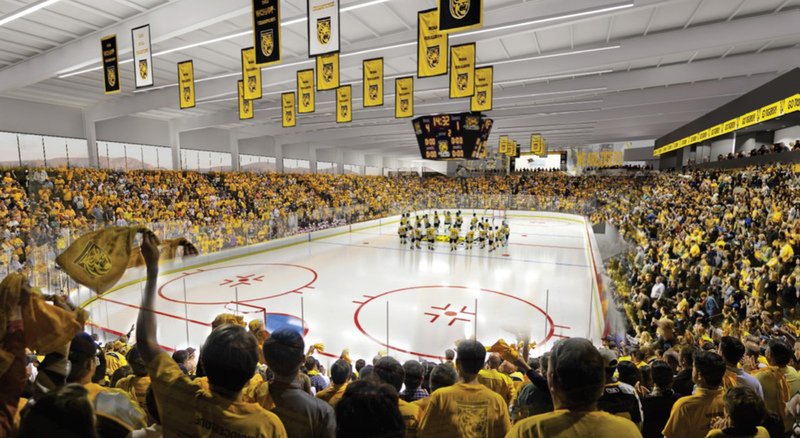 Athletic Director Scott Lowenberg talks about the Tigers season, what to expect in the upcoming season, and the new Robson Arena. If you love air shows, get ready! The Pikes Peak Regional Airshow returns to Colorado Springs September 21-22! 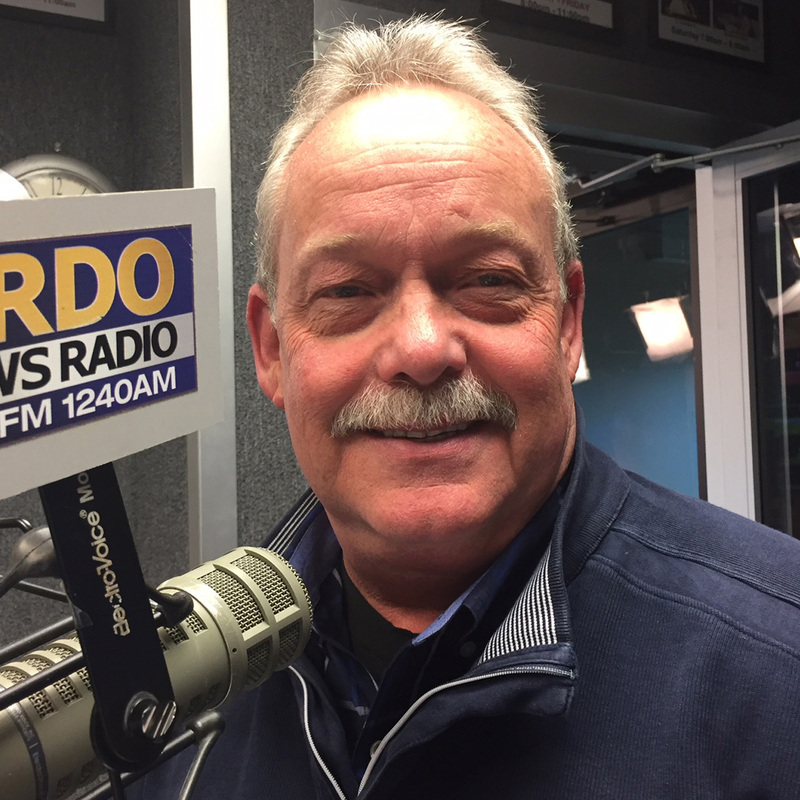 Mike Lewis talks with air show spokesman, John Henry, about this year's event, the main attraction and how to get your tickets at a discount now! 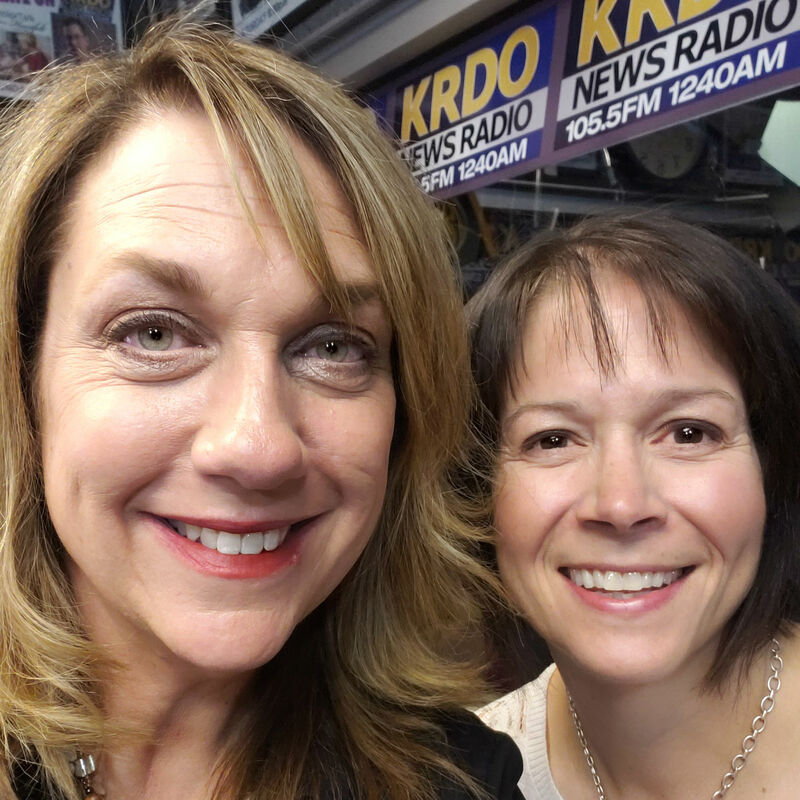 Jody Barker from the Alzheimer’s Association of Colorado talks about the Top 10 signs to watch out for, the increase in number of diagnosis, and the upcoming conference in Denver. Colorado Springs City Council President Richard Skorman talks about the results of the municipal election, Issue 1 results, outgoing and incoming council members and a lot more.